Revisit Middle Earth with the Lord of the Rings plush collection! From the Shire to Mount Doom, Frodo Baggins journeyed far and wide to fulfill his mission to destroy the One Ring. 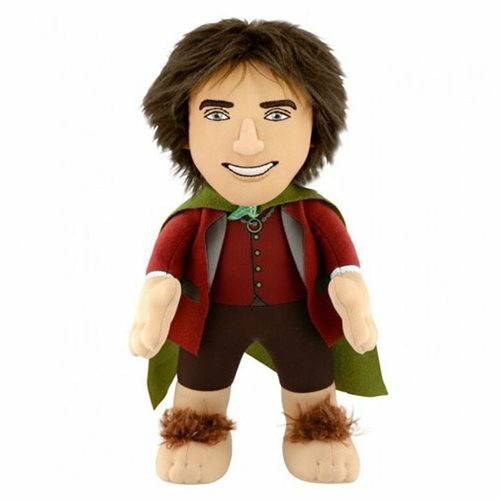 Enjoy this plush featuring Bilbo in his outfit as seen from the legendary films. Cuddle up with this Lord of the Rings Bilbo 10-Inch Plush Figure next time you are reading your favorite moment from the classic books or watching the unforgettable films! Ages 13 and up.